The Splat is your late-night destination for your favorite childhood Nickelodeon cartoons and live-action shows. The Splat doesn't question football-shaped heads, but embrace them – along with Reptar bars, a Big Ear of Corn, orange soda, and even slime for Pete (and Pete's) sake. Make your slime-covered Nickelodeon childhood dreams come true every night at 10pm ET/PT, only on TeenNick USA! #TheSplat! Nickelodeon has commissioned a second season of "Soccer Superstar", NickSports' popular reality competition television show! "Soccer Superstar" is a new sports-themed reality show from the producers behind the megapopular dance series "So You Think You Can Dance", and features young female soccer players showing off their skills! 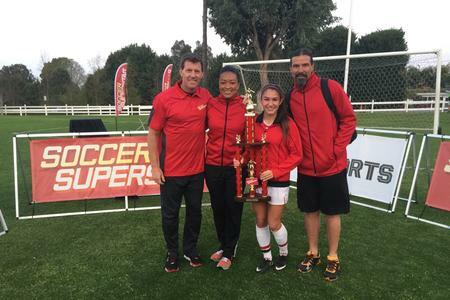 Have you ever dreamed about showing your soccer skills on national television? Are you the next female soccer star? Three-time soccer Olympic gold medalist Heather Mitts will return to host "Soccer Superstar" season two, and will again be joined by a panel of all-star judges, including National Soccer Hall of Famer Marcelo Balboa, two-time Olympic gold medalist Angela Hucles and youth development expert Dan Metcalfe. YOU MAY BE REQUIRED FOR 8 HOURS! You can find the very latest information about "Soccer Superstar", including additional open trail dates, here on the shows official Facebook profile page, Facebook.com/SoccerSuperstarUSA. Netflix has acquired the format rights to the hit Nickelodeon Israel's hit drama series "The Greenhouse" - the US media giants first Israeli television show! Paula Yoo (West Wing, Defiance, Eureka) is adapting with showrunner Giora Chamizer, who wrote and created the original series. Nutz Productions, a subsidiary company of Ananey Communications (which broadcasts Nickelodeon domestically), will produce the American series for Netflix. "The Greenhouse", locally titled "החממה"/"HaKhamama" in Hebrew, is one of the leading teen brands in Israel. The series has been broadcast to Yes subscribers on Nickelodeon Israel for three seasons. In the past two years the show won the Israeli Academy Award for Best Kids' & Youth Drama. "The Greenhouse" is a scripted series that follows the life's of a brother and sister, who, after losing their mother in a spaceship crash, arrive at an elite boarding school for gifted future leaders: The Greenhouse. They join two competing houses within the school - the Eagles and the Ravens - and soon become rivals. Soon, mysterious developments draw the rival houses into a secret investigation where they expose a destructive plot. Only by joining forces can they save the country from a disaster! As they fight against evil, the heroes of The Greenhouse also cope with typical teen struggles such as love, friendship, competition and betrayal, all in a unique world which appeals to anyone who loved "Harry Potter", "The Hunger Games", and the "Divergent" trilogy. The first season of "The Greenhouse" broke all viewership records on Israeli satellite TV, with a second and third season green-lighted almost immediately after its debut. The show was accompanied by a groundbreaking marketing strategy, including a unique smartphone app, Facebook, and Instagram campaigns. The show also aired on Nickelodeon UK and Ireland with English dubbing in 2014. The deal with Netflix was led by Ananey Communications CEO Orly Atlas Katz, together with CAA's Adam Berkowitz, the company's representative in the US. "The Greenhouse" was sold without having filmed a pilot episode. Ananey Communications is fully owned by Udi Miron, who also serves as President. It is one of the largest content, production, and distribution companies in Israel; it owns more than 15 television channels, including The Food Channel, The Travel Channel, The Good Life Channel, and Ego. Ananey is also the exclusive representative of global media giant Viacom in the region, and airs several of the media company's television channels, including MTV, Comedy Central, Nickelodeon, and Nick Jr.
Netflix is an American multinational provider of on-demand Internet streaming media. Its content is always accessible on a variety of platforms using its applications. Its garnered critical acclaim for several of its original offerings, such as "Orange Is The New Black" and "House of Cards". The company recently entered the Israeli market, with a subscription rate starting at $7.99 per month. However, its interface has yet to be localized for a Hebrew-speaking audience. In the past few years, the Israeli content scene has captured the attention of the global industry. British company FremantleMedia recently acquired control of production company Abot Hameiri, in order to turn the latter into its content producer for the former's many international subsidiaries. Among the most notable sales of Israeli content in the world is "Prisoners of War" from Keshet, which became the Showtime hit "Homeland", now in its fifth season. According to the model for these sales, the most significant revenue from such deals only materializes when the shows are renewed for additional seasons. However, the fact an Israeli company will produce the show locally means the domestic industry will derive economics benefits. Atlas Katz said she was proud that Netflix "chose 'The Greenhouse' for an original series a first for an Israeli show. We believed in 'The Greenhouse' from the beginning; we were overjoyed when it became a resounding success in Israel, and we believe it will succeed and become popular throughout the world in its new production. It is a source of pride for us, and we hope this is the first of many Israeli formats produced and distributed by Netflix. Congratulations are in order to Giora Chamizer, the creator and writer. We believe he will excel as a showrunner of a global production." In a conversation with "Globes", the Ananey CEO said, "We need to treat these Israeli productions as a startup like any other and as an opportunity to export our capabilities in original writing and production to the rest of the world." She said they will soon begin determining whether the state will be able to assist in the Israeli production of the series. Chamizer added: "This is a once-in-a-lifetime opportunity for me, to bring 'The Greenhouse' to an audience of dozens of millions of children worldwide. I am grateful to Orly and to the whole Nickelodeon crew for their support from day one. The association with Netflix is surreal, and we must all prove our worth. The fact the series will be produced in Israel attests to the massive leap the television industry has made, and the success of ‘The Greenhouse’ will spell success for all of us." Sources: Globes, Ananey Communications, Netflix. 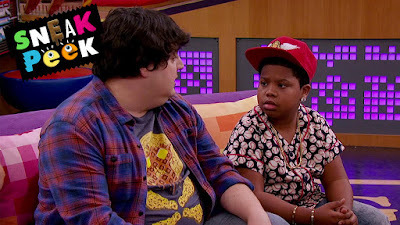 Watch The Splat every night from 10:00pm ET/PT on TeenNick USA! #TheSplat! Check out the reprise of XO-IQ's "Tomorrow Is Ours" from the second season of "Make It Pop"! Missed any new episodes? 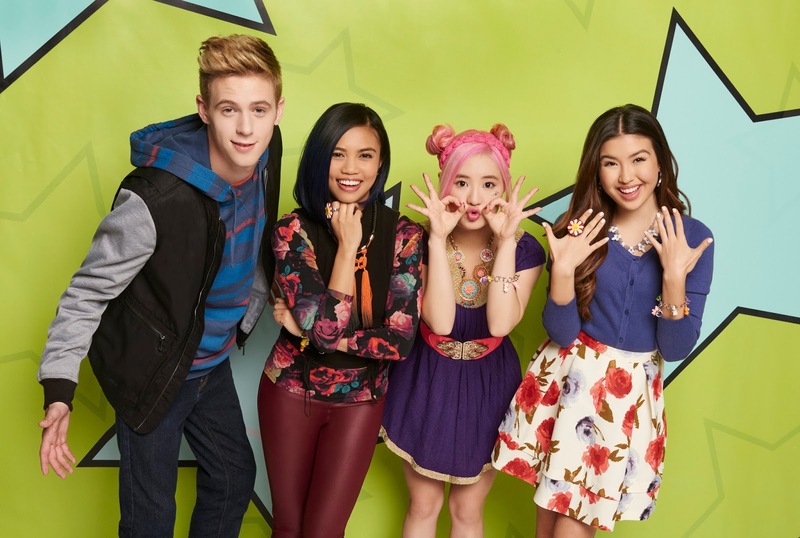 Catch up at nick.com/makeitpop! Download XO-IQ's latest album, "Tomorrow is Ours", available to purchase now on iTunes! Check out the reprise of XO-IQ's "Back to Me" from the second season finale of "Make It Pop"! In "Power Rangers Dino Charge", the Power Rangers finally defeat the team's main antagonist Sledge; however, someone newer and even badder is stepping up to take his place. Fortunately, the Rangers were able to secure the help of Kendall Morgan - the lead scientist at the Amber Beach Dinosaur Museum - as the new Dino Charge Purple Ranger in her powerful Plesio Zord, which possesses the spirit of the extinct Plesiosaur! This super-charged season will follow the Power Rangers as they continue their quest to unite all 10 Energems by tapping into brand-new battle gear, Zords and Megazords to save the universe. Sledge may be gone, but a all-new threat has arisen that is twice as bad, and the Power Rangers will need their biggest team ever! "Power Rangers Dino Super Charge" will make franchise history by uniting 10 Power Rangers on the same team for the first time ever! "Power Rangers Dino Super Charge" will also continue to spotlight the series' core themes of friendship, teamwork, responsibility and helping others for fans of all ages. In the "Power Rangers Dino Super Charge" season opener, "When Evil Stirs" (#601), the Rangers believe their work is done after defeating Sledge. Unbeknownst to them, an even more powerful monster is picking up where Sledge left off and is closer to the Rangers than they think! Fans can find more great "Power Rangers Dino Super Charge" videos, games and pictures here on Nick USA's official PRDSC website on Nick.com! Missed any new episodes of "Make It Pop" season two? Catch up at nick.com/makeitpop! Follow NickALive! on Twitter, Tumblr, Google+, via RSS, on Instagram, and/or Facebook for the latest Nickelodeon, Make It Pop and School of Rock News and Highlights! Can the teams make it to the end before time is up? 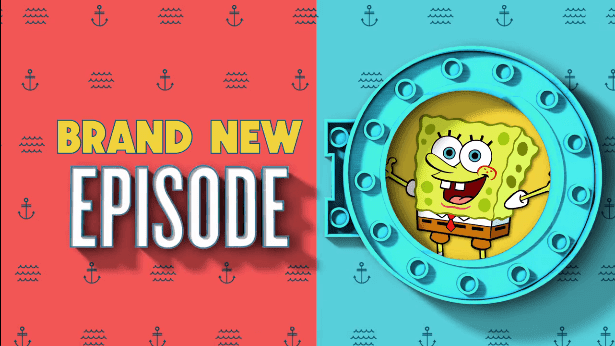 Find out weeknights at 7pm/6c from Monday 1st February 2016, only on Nickelodeon USA! Are you ready to run? The television listings website Zap2it is reporting the spooktacular news that Nickelodeon USA will premiere the brand-new "Monster High" movie "Great Scarrier Reef" on Friday 12th February 2016 at 7:30pm ET/PT, following a brand-new episode of Nickelodeon's brand-new adventure game show, "Paradise Run" at 7pm ET/PT! Splash Into A Whole New Monster High World. Join the Monster High ghouls on an all new aquatic, adventure, as they dive deep into the crystal blue waters of The Great Scarrier Reef. When the ghouls get pulled into the school pool, they find themselves transported to a world of coral and florals - a wild underwater wonderland! But Lagoona is not there to see the sights - she's on a mission of the heart, as she realizes she has come home! She must confront her childhood nemesis and bully, come to terms with her own freaky flaws, win an aquatic dance extravaganza, and fight a terrible beast from the deep. So take the plunge - you won't believe what awaits you under the waves! The brand-new "Monster High" movie will introduce new characters Posea Reef, the daughter of Poseidon, Kala Mer'ri, the daughter of the Kraken, and Peri and Pearl Serpentine, the two-headed daughter of the Hydra. The TV special will tie into Mattel's upcoming Great Scarrier Reef doll line. Original source: ToonZone Forums member kanc; Additional sources: Amazon.co.uk, Monster High Wiki. Nickelodeon UK, the number one commercial kids TV network in the UK, has announced the totally rad-awesome news that Nicktoons UK and Ireland, Nick UK's animation and action channel, will be premiering and showing more all-new episodes of Nickelodeon's hit original animated buddy comedy series (Nicktoon) "Sanjay and Craig" every weekday at 5:30pm from Monday 1st February 2016! 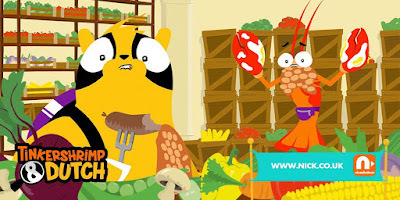 Following each episodes debut, Nicktoons UK & Eire will encore each brand-new "Sanjay and Craig" episode the same evening at 7:00pm and 11:30pm, and the following weekday morning at 8:00am. * Actually that's not true, they're not rappers. Well, not all the time. Not professionally, you understand. Still pretty fly though. Follow NickALive! on Twitter, Tumblr, Google+, via RSS, on Instagram, and/or Facebook for the latest Nickelodeon UK, Nicktoons UK & Sanjay and Craig News and Highlights! 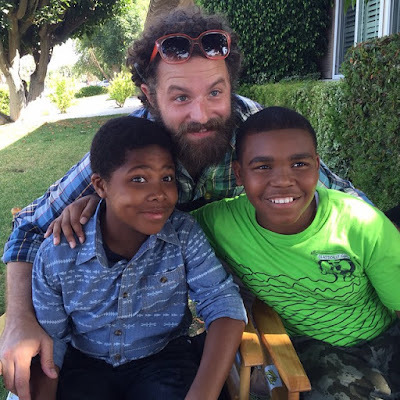 The Worlds Of Two Brothers Collide In Nickelodeon's Brand-New Comedy Series "The Duda Brothers"
Nickelodeon has a brand-new series titled "The Duda Brothers" coming soon! 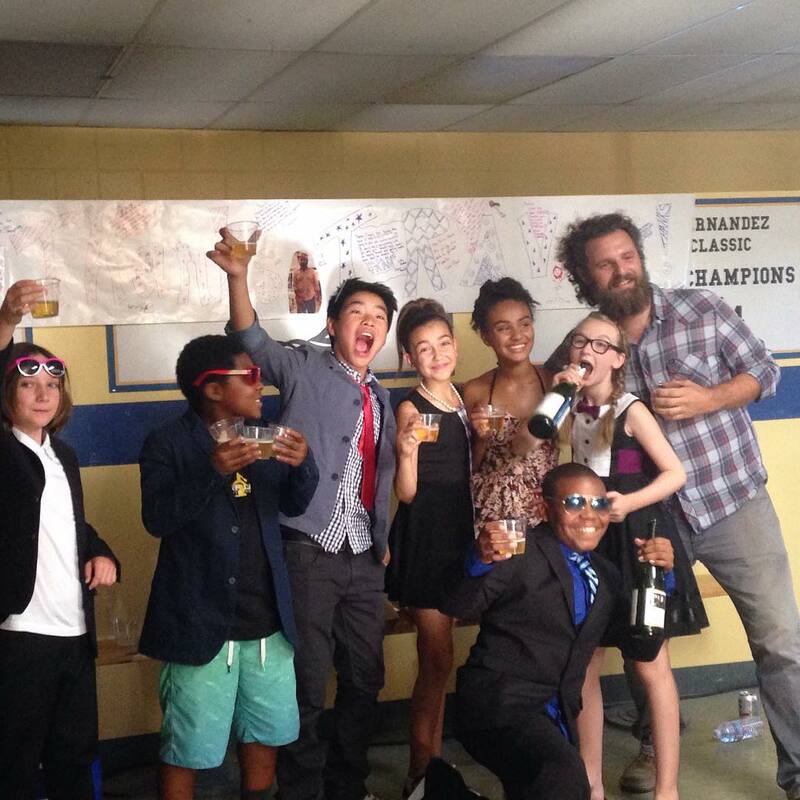 Formally titled "Homeroom", the series is due to debut on Nickelodeon in 2016. "The Duda Brothers" is a brand-new mockumentary comedy series about two brothers who are forced to co-exist in the same homeroom class, causing brotherly conflicts. 11-year-old Sam (Theodore Barnes) is a goal-oriented child who has skipped a grade, while 12-year-old Tyler (DeVion Harris) loves having fun. The two brothers have to learn to work together to survive the adventurous and often hilarious life of Middle School. The series is created by Kevin Jakubowski ("South Park", "Brickleberry") and directed by Ben Pluimer ("Charlie at the Boring Office", "Epic Meal Empire"), with Artisha Mann-Cooper serving as production co-ordinator. "The Duda Brothers" was shot on location during Summer 2015. The cast of Nickelodeon's "The Duda Brothers". Photo via Instagram/@devionharris. It is currently unknown whether Nickelodeon will debut "The Duda Brothers" on TV or on the networks digital outlets, including Nick.com and the Nick App. Nickelodeon is expected to announce more information about "The Duda Brothers" during Nickelodeon Upfront 2016 on Wednesday 2nd March 2016. 2016 Directing Reel - Ben Pluimer from Ben Pluimer on Vimeo. Additional source: Nickelodeon Wikia (German edition). Follow NickALive! on Twitter, Tumblr, Google+, via RSS, on Instagram, and/or Facebook for the latest Nickelodeon and The Duda Brothers News and Highlights! The Hollywood Reporter is reporting that Viacom Inc. (NASDAQ: VIAB, VIA), the parent company of the Nickelodeon brand, filed a lawsuit in Houston against IJR Capital Investments, said to be operating a restaurant called "The Krusty Krab", on Friday 29th January 2016. Viacom says it has capitalized on "Krusty Krab" over the year through playsets, cake decorations, aquarium ornaments, magnet sets, costumes, and more, although not as of yet, a restaurant. But that might only be a matter of time. After Forrest Gump came out, Viacom Consumer Products licensed the Bubba Gump Shrimp Co., which continues to be a good earner. 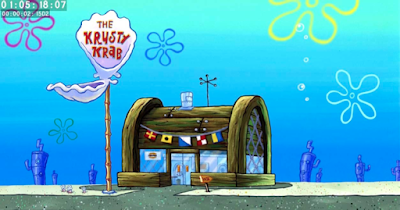 In the court filing, Viacom says that given its "extensive use of the 'Krusty Krab' mark in a wide variety of trade channels - and the fact that the 'Krusty Krab' is a restaurant in the SpongeBob universe - it is within the zone of natural expansion of Viacom business to operate in restaurant services." But if a restaurant is to come out, Viacom needs to protect its turf. Viacom's new lawsuit asserts multiple trademark violations and unfair competition against the Texas company, which according to the complaint, has tried to register "Krusty Krab" at the U.S. Trademark Office. "Defendant's use of the Infringing Mark - which is identical in appearance and sound to the Viacom Trademark - creates a high likelihood of confusion as to the source of the Infringing Mark and Defendant’s corresponding services," states the complaint. An attorney for the defendant is said to have responded to a demand letter by denying any infringement of rights and stating that it "declines to cease use." Viacom is now in court much like Sony Pictures did in 2014 when a sports-themed establishment in Fort Worth, Texas opened called "Ricky Bobby Sports Saloon & Restaurant." 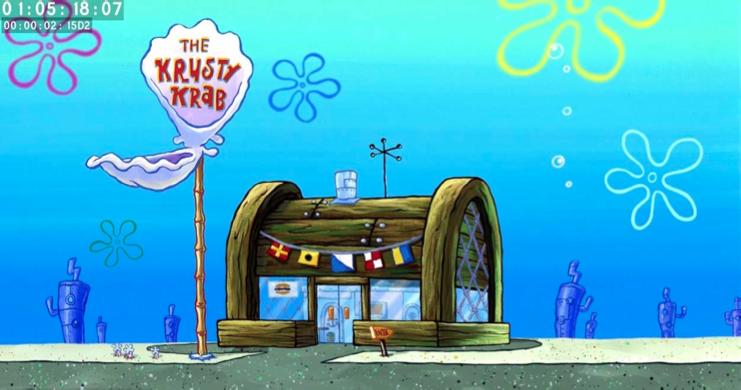 The potential for the "Krusty Krab" brand is endless. A "Krusty Krab" restaurant operated by Salta Burgers reportedly opened a couple years ago in the West Bank city of Ramallah. 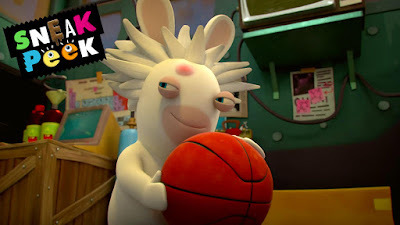 To celebrate Nickelodeon USA premiering the brand-new "Rabbids: Invasion" episode "Invisible Rabbid"; "Rabbid Anthem"; "The Incredible Rabbid Space Time Machine" on Sunday 31st January 2016 at 11:30am ET/PT, Nick USA has unveiled a fantastic sneak peek preview from "Invisible Rabbid", which you can watch in the Bwaah-some video clip here on Nick.com! In "Invisible Rabbid", Professor Mad Rabbid discovers a way to make Rabbids invisible, then, in "Rabbid Anthem", a Rabbid dreams of singing at the rocket launch. And later, Professor Mad Rabbid converts a washing machine into a device that can travel through space and time in "The Incredible Rabbid Space Time Machine"! In the super sneak-peek, "The Invisible Rabbid", a mad rabbid scientist has created the formula for invisibility! Follow NickALive! on Twitter, Tumblr, Google+, via RSS, on Instagram, and/or Facebook for the latest Nickelodeon USA and Rabbids Invasion News and Highlights! Follow NickALive! on Twitter, Tumblr, Google+, via RSS, on Instagram, and/or Facebook for the latest Nickelodeon Animation Studio News and Highlights! Follow NickALive! on Twitter, Tumblr, Google+, via RSS, on Instagram, and/or Facebook for all the latest Nickelodeon at Super Bowl Week, NickSports and Nicktoons News and Highlights! How Nickelodeon Looked in the '90s and '00s - The Splat! Check out the reprise of XO-IQ's "Gratitude" from the brand new season of "Make It Pop"! Catch the finale of "Make It Pop" season two tonight from 7pm (ET/PT) on Nickelodeon USA! Check out the reprise of XO-IQ's "Whispers" from the brand new season of "Make It Pop"! Catch the finale of "Make It Pop" season two tonight from 7pm (ET/PT) on Nickelodeon USA! How To Draw: Dutch From "Tinkershrimp & Dutch"
Tinkershrimp & Dutch episodes premiere exclusively on Nickelodeon UK's digital platforms every Friday! For more exclusive behind the scenes content stay tuned at nick.co.uk and on the Nick Play app (available on iOS and Android)! 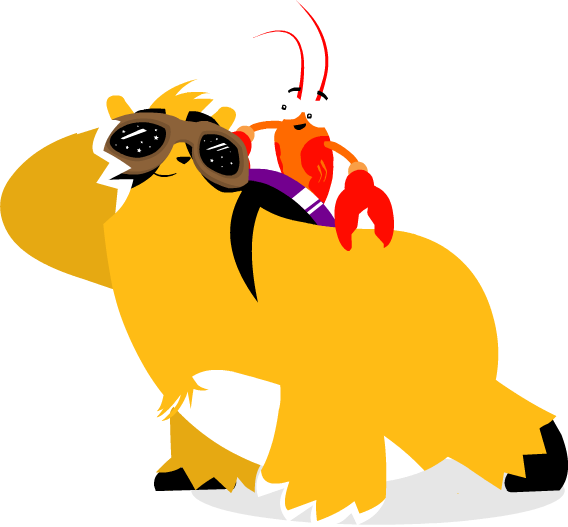 Missed how to draw Tinkershrimp? Find out how here on NickALive!. Follow NickALive! on Twitter, Tumblr, Google+, via RSS, on Instagram, and/or Facebook for the latest Nickelodeon UK and Tinkershrimp & Dutch News and Highlights! Nickelodeon Suites Resort has announced the very sad news that the world famous Nick Hotel will be no more after Sunday 17th April 2016. The resort itself will remain, and the water play area, 4D theater and laser maze will remain, but the Nickelodeon branding will be gone. 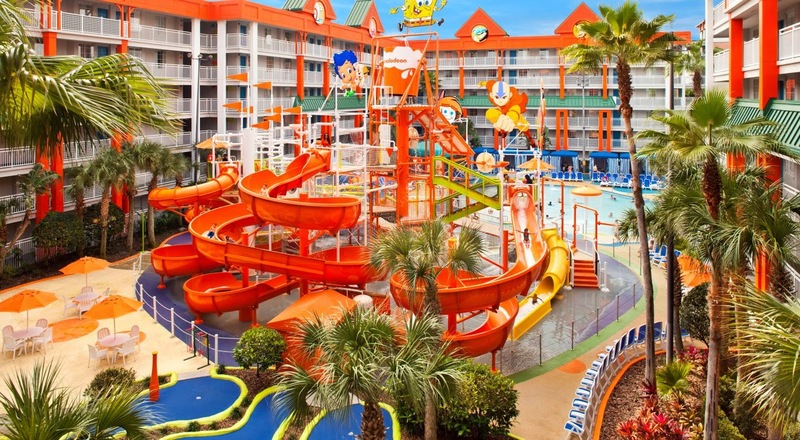 The Nickelodeon Suites Resort property, located off World Center Drive, will become the Holiday Inn Resort Orlando Suites - Waterpark, according to a statement on the Nick Hotel's website. "The resort will continue to be a destination hotel dedicated to imagination, play and exploration for kids and parents alike!" reads the statement. 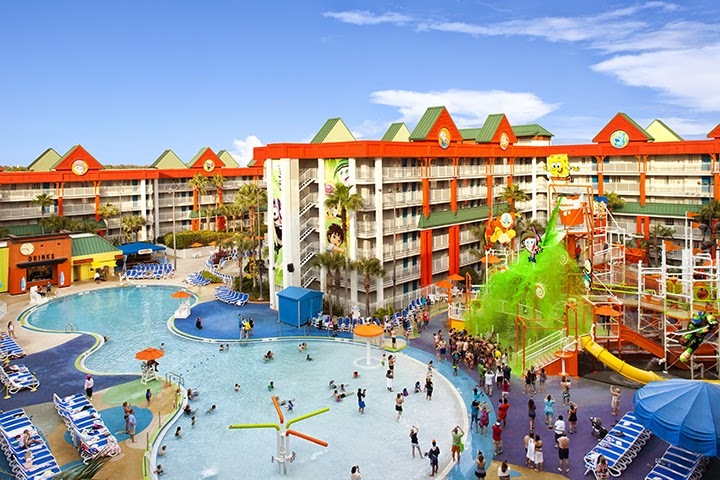 Nickelodeon branding will remain at the hotel through Sunday 17th April 2016, but the next day, the resort will be renamed Holiday Inn Resort Orlando Suites - Waterpark. No Nickelodeon experiences will be offered at the resort once the property is rebranded, meaning guests looking to get slimed will have to search for another Nickelodeon experience later this year. For the past few weeks some of the Nickelodeon branding has been removed from around the resort, and the outside of the hotel is in the process of being repainted. Nickelodeon graphics have already been removed from many of the rooms as part of a $30 million renovation of the resort. The Lagoon Pool and Café are being rebuilt and are closed through Feb. 29. The rebranding was announced as the hotel starts a $30 million renovation, including new renovated suites and upgrades to The Lagoon Pool and Café, which is closed through Monday 29th February 2016. The resort's Café in the Mall is also undergoing renovations, according to NickHotel.com. Once upgrades are complete, the Holiday Inn will feature a renovated waterpark, laser maze (formally "Teenage Mutant Ninja Turtles Laser Lockdown"), a 4-D theater and live entertainment. Nickelodeon launched the Nick Hotel in partnership with Holiday Inn in 2005, becoming the first Nickelodeon Hotel in the world. The Nickelodeon Hotel sold in 2014 for $78.8 million. It celebrated its 10th anniversary last year with parties, extra activities and general celebration with popular Nickelodeon characters. Nickelodeon Suites Resort recently marked its 10th anniversary with a party and sliming featuring many characters from Nick shows past and present. The Nick Hotel is offering amazing Deals during January and February with weekday rates starting as low as $79 during this time period. Check the availability calendar for more details. Upcoming events include the "Power Rangers Dino Super Charge" weekend between Saturday 13th - Monday 15 February 2016. Although the Nickelodeon Suites Resort in Orlando, Florida will be closing, Karisma Hotels & Resorts and Viacom International Media Networks (VIMN) recently announced that they are now taking bookings for Nickelodeon Hotels & Resorts Punta Cana, Nickelodeon's first-ever international hotel property, providing both non-stop family entertainment and Karisma's renowned Gourmet Inclusive® Experience, which will open in May 2016. Nickelodeon fans can reserve their hotel rooms today at 1-844-SEE-NICK and www.nickresortpuntacana.com. The Nick Hotel has entered into a very exciting phase as we have begun a $30 million renovation of the resort. In January, we unveil our first newly renovated suites to our guests. The Lagoon Pool and Café will be rebuilt beginning January 4th and are closed through February 29th. While the World-Famous Lagoon Pool complex is rebuilt the Oasis Pool and Slides will be open daily between January 4th and March 1st with live poolside entertainment including shows, slimings and other activities. The Oasis Pool and Slides area includes a kids' play area, multi-level water tower, and relaxing poolside cabanas for your enjoyment. A Snack Bar serves sandwiches, snacks, ice cream and alcoholic drinks. The Café in the Mall will undergo a complete makeover. The Nick Hotel dining options provide a flavor fit for every palate, even during the Café refurbishment. From a comfortable all-you-can-eat breakfast buffet at The Mall Buffet Restaurant where you may enjoy meet and greet opportunities with your favorite Nickelodeon characters, to Cravings featuring Starbucks Coffee and Hersey's Hand-Dipped Ice Cream, Antonio’s Pizzeria, Deli & Stuff, or the Lounge Bar with its complete a la carte dining menu. 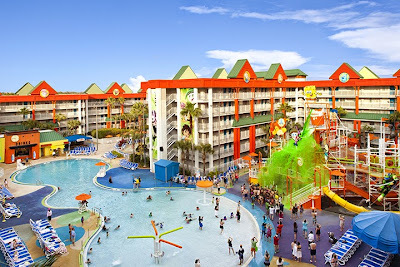 Effective April 18, 2016, the resort will become the NEW Holiday Inn Resort Orlando Suites – Waterpark. The resort will continue to be a destination hotel dedicated to imagination, play and exploration for kids and parents alike! The rebranding creates opportunities to bring new features to life, including a newly renovated waterpark, laser maze, 4-D theater lineup and live entertainment in our studio and poolside! We will no longer offer Nickelodeon experiences past April 17, 2016, but will continue to deliver a fun and energetic experience. The Nick Hotel is offering amazing Deals during January and February with weekday rates starting as low as $79 during this time period. Check the availability calendar for more details. Sources: Orlando United, Orlando Sentinel, Orlando Attractions Magazine, Click Orlando. Nickelodeon UK Releases Third Episode Of Brand-New Digital Series "Tinkershrimp & Dutch"
Jump aboard the Regius Hunnibunibus Double Decker Castle with best friends Tinkershrimp the langoustine & Dutch the slow loris and follow their bonkers adventures across New Great Great Britain! Nickelodeon UK and Ireland has today premiered the third episode of their brand-new digital series "Tinkershrimp & Dutch" exclusively at nick.co.uk/tinkdutch & nicktoons.co.uk and on the Nick Play app! In "Tinkershrimp & Dutch" episode three, "Time to get a Job", it's time for King Hunnybun III's annual King's Calendar photoshoot, and, to make sure he looks dignified and swimsuit ready after last years disaster, Hunnybun has been on a strict diet, eating only vegetables! However, Michael The Fowl, the world's most dangerous headless Chicken, misunderstood genius and evil master of disguise, has booby-trapped the King's vegetables by secretly filling them with unhealthy junk food to embarrass him in front of his loyal subjects! When Michael discovers that his family and friends has been deep fried, he hatches a dastardly plan to gluttonise the population of New Great Great Britain and destroy the kingdom! Can Tinkershrimp & Dutch run back in time to stop the crime and save King Hunnybun III and New Great Great Britain? Find out by watching the third episode now at nick.co.uk, nicktoons.co.uk and on the Nick Play app! Fans who watch the third episode of "Tinkershrimp & Dutch" on nick.co.uk and nicktoons.co.uk can also help Tinkershrimp and Dutch find Michael's "Mike's Safe Food Co." van, and help design a new disguise for him to help him sneak out and eggscape from jail! Stay tuned for episode four, released Friday 5th February 2016! Claw Paw! 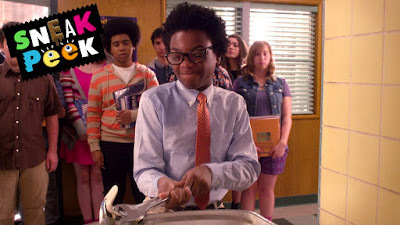 Sneak Peek Of "Make It Pop" Season 2 Finale, Premiering Tonight On Nickelodeon USA! The epic season finale of Make It Pop season two is here! 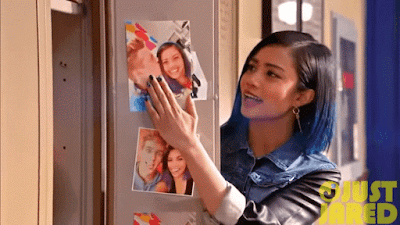 In part one of the finale, "Looking For Trouble", XO-IQ prepares for an all-important performance while Linc (Vinson Tran) reveals his summer plans to Sun Hi (Megan Lee). Meanwhile, Caleb (Dale Whibley) and Jodi (Louriza Tronco) deal with a big problem! Then, in part two, "Really? It's Over? ", romantic tensions mount as the band receives an offer that could change their lives! The Make It Pop season two finale airs TONIGHT, Friday, January 29th @ 7PM ET/PT on Nickelodeon USA! Watch a exclusive sneak-peek preview, featuring XO-IQ's hit song "Back To Me", here on JustJaredJr.com! Nickelodeon Germany (Deutschland) has announced the very exciting news in a post on their official Instagram profile page, @NickelodeonDeutsch, that Nickelodeon will announce the international and local nominees of Nickelodeon's 2016 Kids' Choice Awards on Tuesday 2nd February 2016! Following Nickelodeon revealing the nominees of Nickelodeon's 29th Annual Kids' Choice Awards, fans around the world will be able to vote for their favourites from the worlds of film, television, sports and music by visiting nick.com/kca (USA) and kca2016.com (worldwide)! This year's show is kind of a BIG DEAL! Super-sized surprises will take over this year's Kids' Choice Awards honoring favorites from the worlds of film, music, and television, and giving kids a front-row seat to slime, stunts and celebrities! 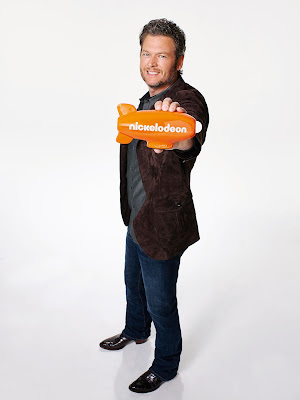 Hosted by country music superstar Blake Shelton, this years Kids' Choice Awards ceremony promises to be the biggest KCAs ever! Taking place in LA on Saturday 12 March 2016, the Nickelodeon 2016 Kids' Choice Awards will broadcast live on Nickelodeon USA and Nickelodeon Australia & New Zealand. KCA 2016 will then roll out in more than 180 countries and territories within hours of airing live, giving kids around the globe the opportunity to tune into their local Nickelodeon channel to enjoy the show! In the lead-up to Nickelodeon's 2016 Kids' Choice Awards, kids can join in on the slime-fest at nick.com/kca and kca2016.com, the official destinations for everything Kids' Choice Awards, with hilarious videos, photo galleries, games and all of the latest KCA news! To celebrate the 2016 Nickelodeon Kids' Choice Awards, Nickelodeon has teamed up with children's skate-shoe brand Heelys to offer NickHeads in Europe the chance to win a fantastic trip to attend the Nickelodeon Kids' Choice Awards 2016 in LA in March 2016! Simply visit heelys.eu.com and tell Nickelodeon and Heelys in 50 words of less, "Which celebrity would you like to see roll down the Orange carpet in Heely's and why?" The most creative and original entry will win the trip of a lifeslime! Imagine getting to see your favorite singers & actors and seeing the luckiest celebrity's getting slimed in person all on one stage! Plus, you could be on NickHeads' TV's all around the globe when Nickelodeon's international channels and networks transmit the 2016 KCAs around the world within hours of the show airing live in the United States, Australia and New Zealand! 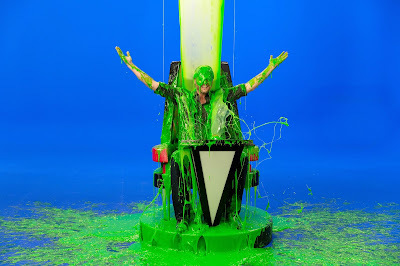 The 2016 Nickelodeon Kids' Choice Awards is sure to be the slimiest KCA's ever! Sid and Marty Krofft's most beloved characters from their cult classic H.R. Pufnstuf will return to kids TV for the first time in over 45 years in the Kroffts' latest live-action preschool series, Mutt & Stuff, on Nickelodeon! Featuring H.R. Pufnstuf, Cling and Clang, Freddy the Flute and the Rescue Racer, Nick USA will premiere the brand-new Mutt & Stuff, "H.R. Pufnstuf Visits Mutt & Stuff", on Monday 15th February 2016! Iconic characters from Sid and Marty Krofft's "H.R. 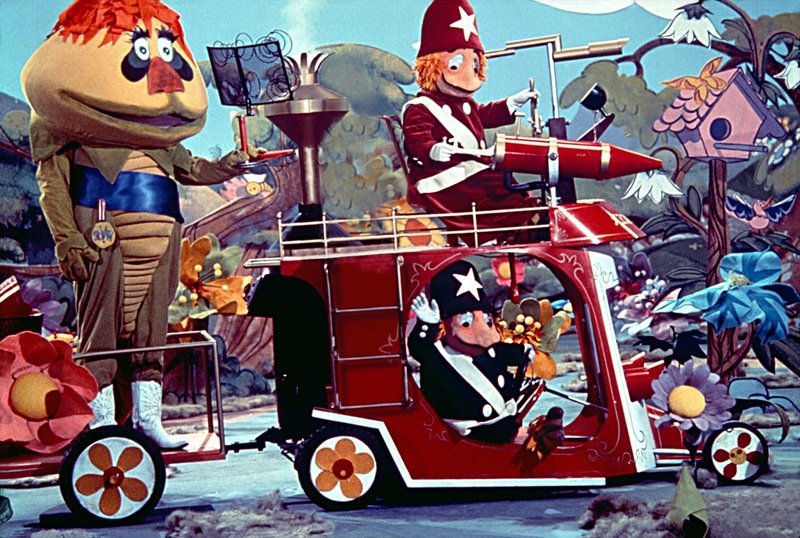 Pufnstuf" will return to TV in Nickelodeon's hit preschool series, "Mutt & Stuff." 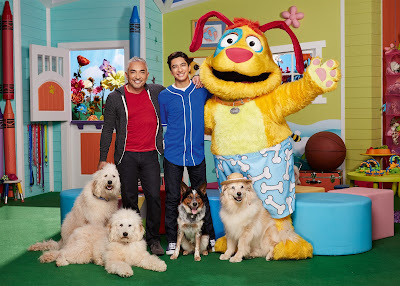 Set in a unique school for dogs, Mutt & Stuff stars Calvin Millan and his dad, Cesar, star of Cesar 911 and original star of Dog Whisperer with Cesar Millan, interacting with a cast of both real Dogs and puppets. Mutt & Stuff currently ranks as the number-one preschool show in its time period on all TV and the series is created and executive produced by the Kroffts (H.R. 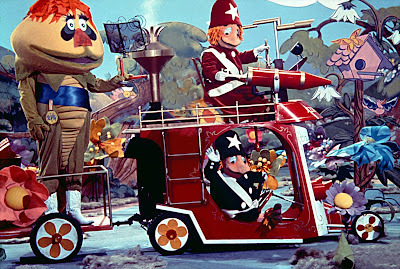 Pufnstuf, Land Of The Lost), along with Bradley Zweig. Cesar Millan also serves as executive producer. Original sources: Zap2it TV Listings, ToonZone Forums member Lord Hater. Follow NickALive! on Twitter, Tumblr, Google+, via RSS, on Instagram, and/or Facebook for the latest Nickelodeon and Mutt & Stuff News and Highlights! Zap2it TV Listings is reporting the exciting news that Nickelodeon USA will start to premiere more brand-new episodes of Nickelodeon's hit original comedy series "The Thundermans" and "Bella and the Bulldogs" from Saturday 13th February 2016! In the all-new "The Thundermans" episode "Game Night", when Hank raises the stakes of family game night to a new high, each member of the family will do whatever it takes to win the grand prize! In the brand-new "Bella and the Bulldogs" episode "The Outlaw Bella Dawson", Bella gets a long-awaited message from Charlie (Froy Gutierrez), but before she can answer she is forced to spend the day with Zach Barnes (Matt Cornett)! Original source: ToonZone Forums member Aparent. Follow NickALive! 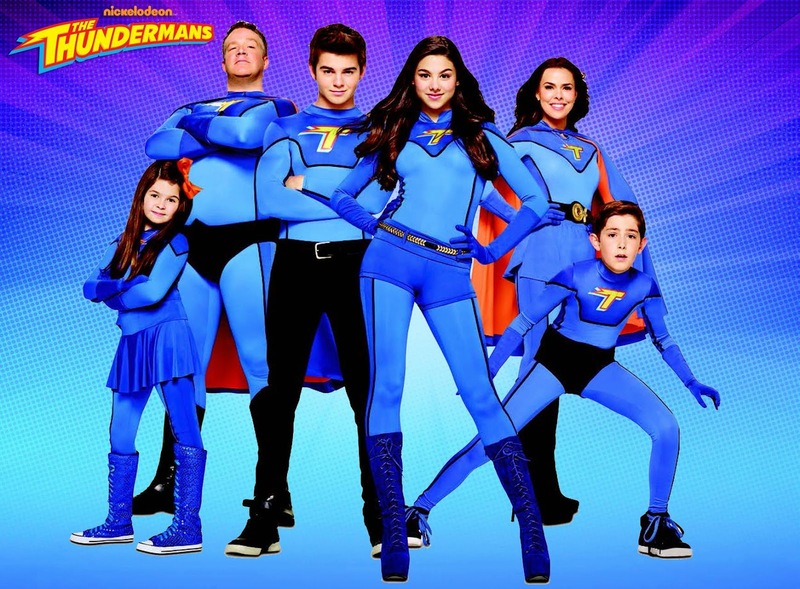 on Twitter, Tumblr, Google+, via RSS, on Instagram, and/or Facebook for the latest Nickelodeon, Bella and the Bulldogs and The Thundermans News and Highlights! Zap2it TV Listings is reporting the exciting news that Nickelodeon USA will premiere the brand-new "ALVINNN!!! and the Chipmunks" episode "I Will Survive"/"Alvin's Got a Brand New Bag" on Monday 15th February 2016! In "I Will Survive", when Alvin gets hurt, Simon agrees to face off against Derek on a survival reality show! Then, in "Alvin's Got a Brand New Bag", Alvin accidentally ruins Brittany's favorite bag and must come up with a way to replace it! Follow NickALive! on Twitter, Tumblr, Google+, via RSS, on Instagram, and/or Facebook for the latest Nickelodeon and ALVINNN!!! and the Chipmunks News and Highlights! Zap2it TV Listings is reporting the Sponge-Tastic news that Nickelodeon USA will premiere the brand-new episode of the networks hit original animated series "SpongeBob SquarePants" titled "SpongeBob LongPants"/"Larry's Gym" on Monday 15th February 2016! In "SpongeBob LongPants", when SpongeBob gets a pair of long pants, they change his life in unexpected ways! Then, in "Larry's Gym", when Larry the Lobster opens a new gym in Bikini Bottom, SpongeBob becomes his best customer! Don't forget to try out Schneider's Gourmet Pickles, including Genuine Dill and Kosher Dill! The Making Of "Tinkershrimp & Dutch"
In episode three, "Time To Get Fit" premiering Friday 29th January 2016, we meet the Royal Rubber Ducky - HRH Elizabeth Quackalot - and discover the simple trick King Hunnybun III used to get ripped in 5 minutes, plus Bangers and SMASH are on the menu, and find out Michael the Fowl's latest dastardly plan - but does he too far this time? Watch more "Breadwinners" on Nickelodeon and Nicktoons! Follow NickALive! on Twitter, Tumblr, Google+, via RSS, on Instagram, and/or Facebook for the latest Nickelodeon UK and Breadwinners News and Highlights! To celebrate Nickelodeon USA premiering the brand-new "100 Things to Do Before High School" episode "Leave Your Mark Thing!" on Saturday 30th January 2016 at 9:00pm (ET/PT), Nick USA has unveiled a super sneak peek preview of the all-new "100 Things" episode, which you can watch in the fantastic online streaming video clip here on Nick.com! Did you hear? Isabela Moner will be singing the national anthem on Nickelodeon's brand-new 2016 NFL FLAG Championships hour-long special, premiering on Saturday 6th February 2016 at 6pm (ET/PT) on Nick USA and Nicktoons, as part of "Nickelodeon at Super Bowl Week"! To celebrate Nickelodeon USA premiering the brand-new "Game Shakers" episode "A Job for Jimbo" on Saturday 30th January 2016 at 8:00pm (ET/PT), Nick USA has unveiled a super sneak peek preview of the all-new "Game Shakers" episode, which you can watch in the fantastic video clip here on nick.com! Additional sources: Zap2it TV Listings, IMDb. Nickelodeon Magazine Issue #8 On Sale Now! Meet Styler! - "Game Shakers"
Animating Inspiration - "Tinkershrimp & Dutch"
107 Facts About "The Fairly OddParents"
107 SpongeBob SquarePants Facts YOU Should Know!